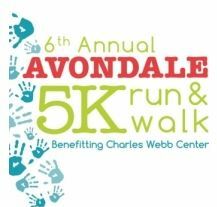 This will be the 6th annual Avondale 5k. All proceeds will go toward the purchase of supplies for special needs children at the Charles Webb Center. The course is USATF certified and makes several loops around Avondale neighborhood in Charleston.